Finding the right fuel for your pride and joy is crucial. 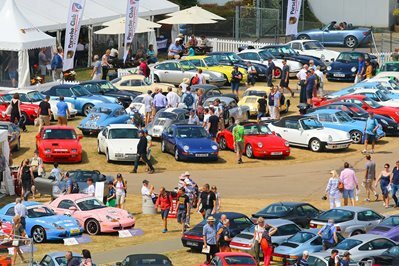 Finding the right fuel for your pride and joy is crucial, which is why PCGB is offering members an exclusive solution. The subject of premium fuel is unlikely to be the highlight of your next dinner party, but it is an important one for those members lucky enough to be driving performance cars on a regular basis. Over the last few months, the Club has been meeting with Esso and fuel card provider WEX Europe Services about creating a new member benefit. The upshot of some detailed discussions with both parties is a Porsche Club GB Esso Card™, which gives you a discount on all Esso Synergy fuels. The savings equate to 2p per litre on Synergy Supreme+ and 1p per litre on Synergy regular, both unleaded and diesel, available at almost 1300 Esso fuel stations around the country. The Porsche Club GB Esso Card™ allows you to earn Tesco Clubcard points when you fill up at participating Esso-branded filling stations. And you can use your card internationally at any of the 12,000+ Esso European fuel stations and save two cents per litre on Esso Synergy Supreme+ fuel and one cent per litre on Esso Synergy regular fuel. The exclusive Porsche Club branded Esso Card™ is available now. 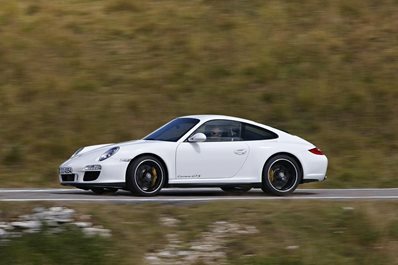 Apply for yours at essocard.com/Porsche or call 01270 531992 quoting ‘Porsche’ for more details. *Esso Synergy Unleaded Petrol claims based on (1) internal or third party vehicle engine testing; and/or (2) government publications, and/or (3) industry of scientific literature. Benefits may vary depending on factors such as engine type, driving style. and petrol previously used. ** Ess0 Synergy Supreme+ fuel claims based on current vs previous Supreme+ formulations. Supreme+ Unleaded contains a friction modifier which helps prevent wear. Claims based on independent engine testing and industry/scientific literature. Benefits may vary depending on engine type, driving style and fuel previously used. *** Esso Synergy Supreme+ Unleaded Petrol has a double additive treat rate, compared to Even Synergy Unleaded Petrol. Benefits may vary depending on engine type, engine condition. driving style and fuel previously used, Esso Synergy Supreme+ Unleaded is available at selected Esso service stations only. **** Esso Synergy Diesel Claims based on (1) internal or third party vehicle engine testing; and/or (2) government publications; and/or (3) industry or scientific literature. Testing based on diesel vehicles purchased on the UK used car market and independently tested at Mahle, UK. Fuel economy was assessed in the condition vehicles were received. Testing occurred over 4000km using Esso Synergy Diesel and the average increase in fuel economy in the cars tested was 1.8%. Benefits may vary depending on factors such as engine type, engine condition, driving style, and diesel previously used.